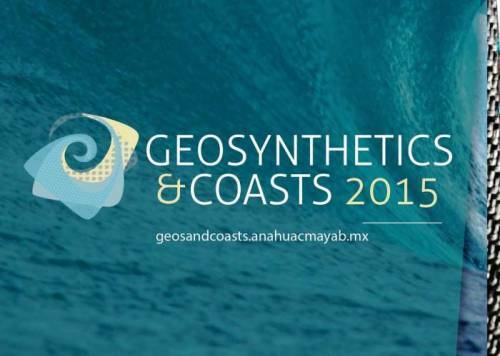 Geosynthetics & Coasts 2015 is the Third International Workshop on Geosynthetics and Modern Materials in Coastal Protection and Related Applications. Originally held in Chennai, India, in 2010 and 2013, for the first time it will be held in the Americas, specifically in Merida, Yucatan; Mexico. Supported by the International Association of Hydro-Environment Engineering and Research (IAHR), this series of biennial meetings aims at providing a platform for experts and other stakeholders to exchange cutting-edge knowledge on the use of geosynthetics and related materials to protect shorelines, coastal infrastructure and natural systems, as well as to carry out engineering projects under the challenging conditions posed by coastal environments. Two central topics will be analysed: the coastal protection and the environmental protection. Maccaferri has a long and deep experience in the use of geosynthetics in these applications. However, our participation at this workshop is to listen and learn more about the challenges facing this market sector. The location in Yucatan is appropriate as this is a fragile island barrier system in Mexico, vulnerable to these erosion forces, and in the many countries in Latin American countries who face important challenges in coastal protection. Several topics will be analysed during the event and all of these will connect not only with the theme of coastal infrastructure but also with other important issue like: sustainability, environmental protection and impact, drainage and erosion control. Please come along and share your knowledge of coastal and environmental protection with your peers! For more informations about this event please contact us.